Stagnation in project management? Best practices are often ignored. 27.08.2015 - Even today, only around 12 percent of companies are deriving competitive advantages from project management excellence according to a survey  of almost 2,500 project managers around the world implemented by the Project Management Institute (PMI) in January 2015. It may appear to be ‘old hat’ as a central finding, yet it continues to be relevant because the study revealed that one in three projects is still failing and one tenth of investments in projects and programmes are wasted. So is project management stagnating in these dynamic and fast-changing times? Many things that are initially dismissed as hype - cloud computing, big data, the internet of things - do ultimately take off. Some are slow to develop but, ultimately, that’s exactly what they do. What about project management? According to the study it’s come to a standstill. The percentage of relatively successfully projects is still just 64%, which is where it’s been for years. The survey also compared high performers in their segment with the rest of the field. 12 percent of the companies are high performers. This figure has also been the same for years. In monetary terms, 109 million of every billion spent on projects and programmes are quite simply wasted, according to the survey. However, the survey findings also include some positive developments. For example, 38 percent of companies now use agile, tiered and repetitive project management practices. That’s an eight percent increase within one year. Knowledge transfer effectiveness also increased by 20 percent last year. The survey initiators looked at this aspect in particular detail, and it is earmarked as a key success factor. According to the survey findings, the organisations that are most effective in knowledge transfer improved their results by almost 35 percent. These companies are three times more likely than others to have formal knowledge transfer programmes in place. One best practice example of how this works was recently provided by the EnBW Energie Baden-Württemberg AG energy company. When it was redesigning its website, the company modernised the technology, functions and visual appearance, and it also took a new approach to the project. They’re complex projects and, if we took the traditional route, it would take too much time to get everything planned, approved, tendered out, contracted out and implemented to everyone’s satisfaction. So the energy company put together an agile team that would be specifically responsible for the online platform, making it possible to meet any post-relaunch requirements. 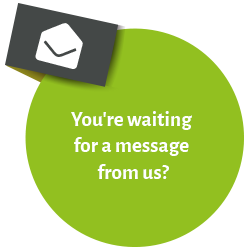 If you would like to tell us about your best practice example, send us a mail to support@iapm.net.